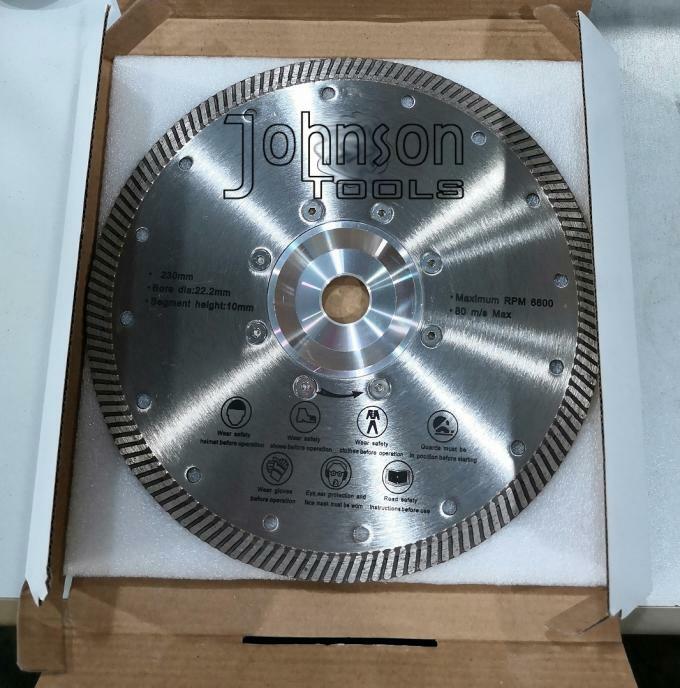 180mm sintered turbo diamond stone cutting blade for granite, export to Africa, South America markets very well. 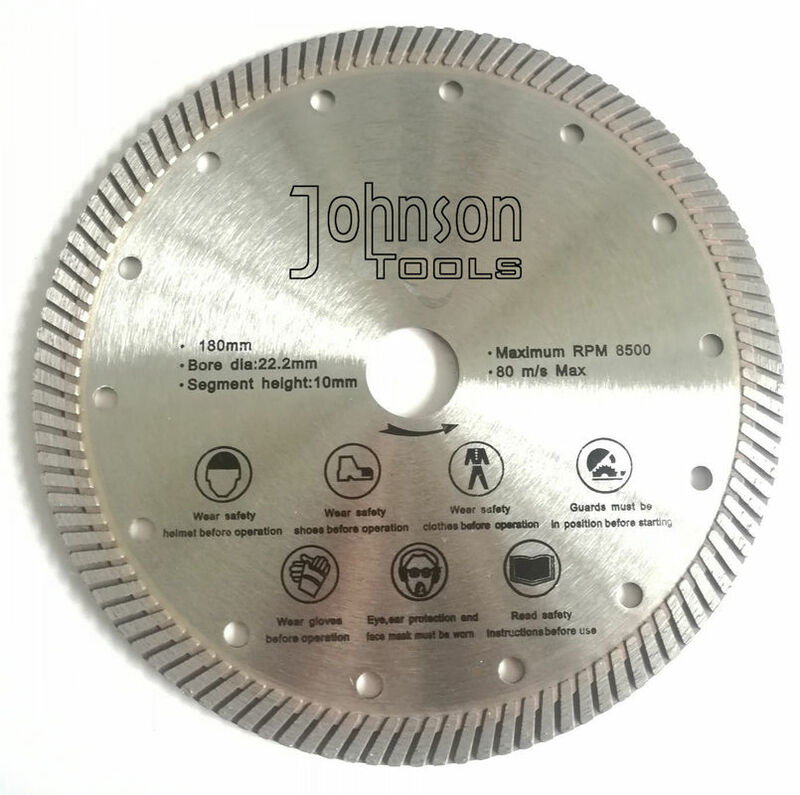 Hot pressed sintered diamond turbo saw blades are designed for professional high speed cutting of a wide range of materials (granite, marble, concrete, reinforced concrete, construction materials, ect. ). This kind of blades can be fixed on angle grinder, table saw, hand held saw, etc. Superior performance and super durability. 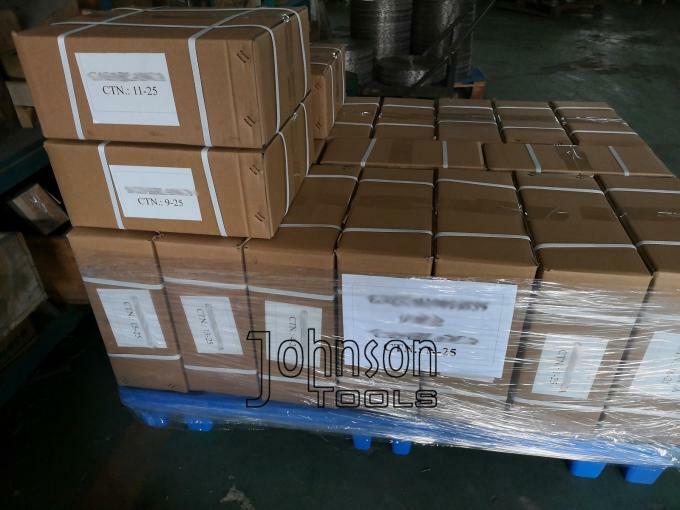 Hot pressed sintered tubo blade can be dry and wet cutting. Outer diameter from 110mm to 230mm. Segment height and center hole can be done based on client's request. Best cutting performance gain client's repeated orders. 1) Specification is complete and varied. 2) Can do with Flange M14 or 5/8"-11. 3. 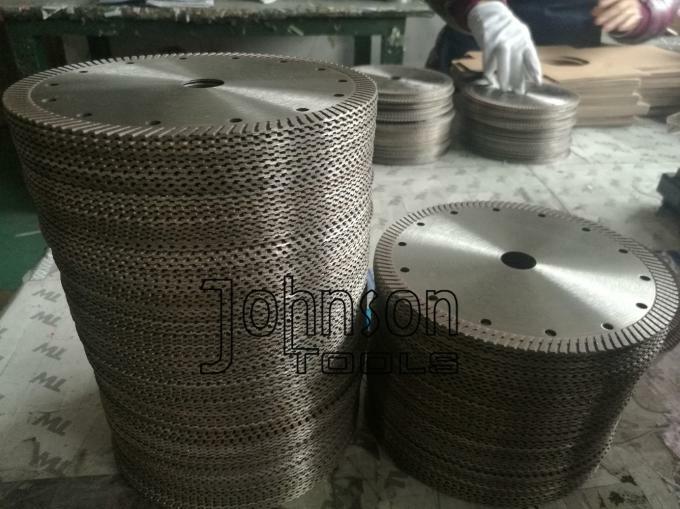 Main product:laser welded saw blade, sintered saw blade, diamond segments, diamond polishing and grinding products, cup wheel, core bits and electroplated diamond products ect. Provide the most suitable diamond tools and quickly service is our aim. Application: Cutting Granite, sandstone, limestone, etc. Segment height: 7mm or 10mm.